It appears as though Google is lobbying in at least three states to prevent proposed restrictions on Google Glass while driving from going into effect. These laws are in response to the growing popularity of Google Glass (the device has yet to be fully released) and the concern that many have about how safe it is to have a piece of technology in a person’s field of vision while operating a vehicle. Reuters, which first broke the story, says that this will be the first real clash between Google and lawmakers over the use of Glass while driving, especially since the public does not even have the ability to buy Glass at the moment. In a response, Google did not deny the report from Reuters and instead, it stated that it is important for it to be involved in this type of discussion. Google’s lobbying power is reportedly present in Illinois, Delaware, and Missouri, all of which have proposed legislation regarding the use of Google Glass while operating a motor vehicle. The main problem with Glass is not that is is directly interfering with an individual’s view of the road but that to even use it for GPS, a driver must take their eyes off of the road to some degree. However, the same sort of argument could be made against traditional GPS devices which require that a person shift their focus when looking at directions. Without any research into the use of Glass while driving, it is hard to tell where it stakes up against the use of other devices like cell phones and GPS systems. We all know that texting and driving is dangerous, but it is possible that Glass is not. Any move towards more technology in cars is generally met with opposition but on multiple occasions, Google has worked particularly hard to fight for new technologies. In California, for example, it lobbied to legalize self-driving cars, which are at the core of one of Google’s most ambitious projects. 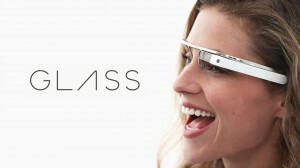 Summary: Google is lobbying in at least three states to allow drivers to use Google Glass. Restrictions against this activity have been proposed by multiple states.